Every child should learn how to swim; don't let money be the barrier. The links below are provided as a convenience and informative source only. The Miami-Dade Drowning Prevention Coalition bears no responsibility for the accuracy, legality, or content of these links. Contact the sites below for answers to questions regarding their programs. “Kyan's Kause Inc. is a non-profit organization which was established after we suffered the loss of our 2 year old little angel, Kyan Braxton Quintana, to a home drowning accident on June 9, 2013. Kyan is part of an amazing family which includes his four brothers and sisters. This unfortunate tragedy motivated our family to make every effort to prevent this loss from happening to other children in South Florida. His loss became our strength and together with their community, family and friends we have devoted ourselves to teaching proper water safety awareness through an early childhood curriculum and funding swimming scholarships throughout South Florida. The “Swim for Jenny” memorial fund honors Jenny Hong Nguyen, a 12-year old South Florida girl who suffered an drowning accident on April 16, 2011. Jenny unexpectedly found herself in deep water and because of her lack of swimming ability tragically lost her life. Jenny was smart, exuberant, beautiful, and blessed with a loving family. The Swim for Jenny Memorial Fund provides swim lessons for Miami-Dade children who can’t afford them. The Swim for Jenny goal is simple: to teach every child in Miami-Dade County how to swim. 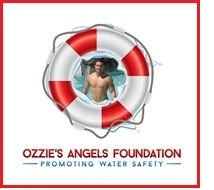 Ozzie’s Angels Foundation is a non-profit organization that was started by the Castellanos Family. This charitable organization was started in loving memory of my son Osmany “Ozzie” Castellanos. Ozzie was born on October 23rd, 1983, and at 23 he was involved in a tragic boating accident on July 8th, 2007 that took his life. Ozzie was a Lifeguard with Miami Dade County. He loved life, he enjoyed working with his Community, and during his off time he absolutely loved teaching children the importance of swimming. Our mission is to carry out his dream. Drowning is the leading cause of death in children under 6 years of age. That’s why we are working with different pool facilities in Miami-Dade county to provide children with swimming classes.